1-CD with 32-page booklet, 26 tracks. Playing time approx. 76 mns. 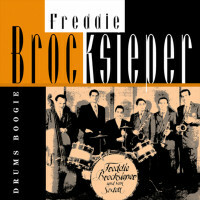 In all the Jazz encyclopaedias not a single word can be found about Freddie 'Brocksi' Brocksieper. Just a few insiders know about him. This situation will certainly be changed with this, and the complimentary CD, 'Drums Boogie' (BCD 15988). On the CDs you will find his German Brunswick recordings in chronological order, covering the period from October 1941 to May 1948. Horst Bergmeier's detailed liner notes will let you accompany 'Brocksi' through this time period. 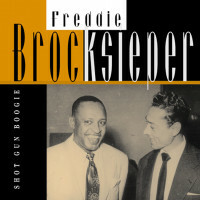 The author enriches the biographical data with anecdotes and remarks about Brocksieper's musical career. In addition, musicologist Dr. Wolfram Knauer contributes knowledgeable and highly interesting notes to many of the tracks included. Rainer E. Lotz provides a detailed discography. Enjoy this exploration of the works of a musician whose improvisational skills and expressive play on the drums more than equals other musicians' work on more melodic instruments. Who knows? Maybe it won't be long before we will read about Freddie Brocksieper in one of those encyclopaedias? 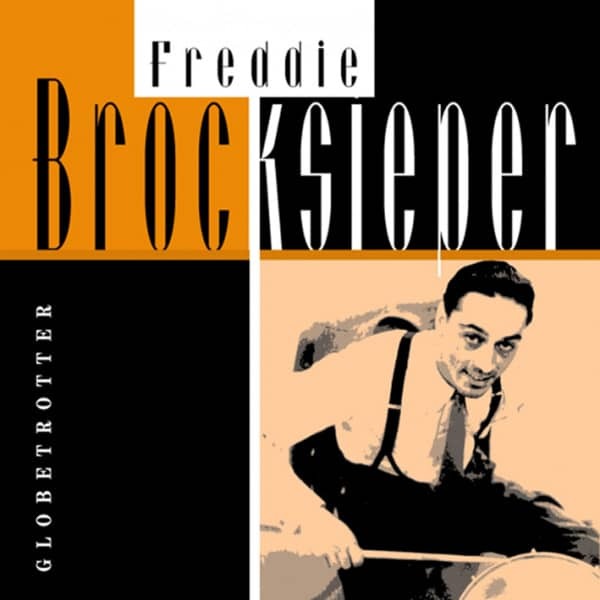 Freddie Brocksieper was a musically outstanding figure in German jazz of the 1940s and 1950s. According to the musicologist Dr. Wolfram Knauer, "he mastered his instruments like no other German drummer, doesn't need to hide behind the most capable of his American colleagues in the best moments". 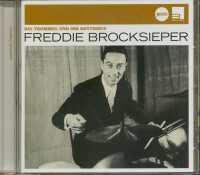 Brocksieper'liberated' the percussion in Germany and made it into an instrument that is in no way inferior in expression and improvisation to the melodic instruments. During his time the drummer was highly regarded by musicians and for many years was one of the pillars of German jazz development. However, this development went largely unnoticed by the public. 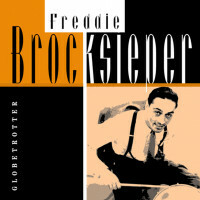 During the war Brocksieper worked in Berlin for the German foreign stations, but many of his records were not released in Germany. After the war, he initially worked almost exclusively in US clubs that were not accessible to Germans. When swing and jam sessions became popular in Germany, he became the darling of the public and celebrated as'German Gene Krupa'. And rightly so, because like his original role model, Freddie Brocksieper was an outstanding technician, passionate musician and great showman. With this series we present all recordings made for the Brunswick label under our own name, including various previously unreleased titles of the drummer in chronological order. This first CD contains all recordings until March 19, 1943, the second CD (BCD 15988) the recordings from April 1943 until the first three recordings of the meeting on May 4, 1948, and two further CDs, which will be released at a later date, follow his recordings chronologically. Wolfram Knauer welcomed the CD series with the words: "This documentary shows Brocksieper as one of the first musicians to bring a kind of black sound aesthetic and rhythmic energy into German jazz. A heartfelt thank you to Wolfram Knauer and to Peter Köhler, who died too early. Knauer, stirring director of the Jazz Institute Darmstadt, was kind enough to comment on the titles from the point of view of a musicologist. He has also searched the institute's extensive collection of journals for contemporary reports on the subject and made copies available to the author. Peter Köhler was an active jazz musician for many years - clarinet, soprano and tenor saxophone - until he had to retreat to calmer regions for health reasons. His great love remained jazz and even in the years of his quasi-retirement, Peter devoted himself to the history of jazz and contributed to the popularization and distribution of this music in Germany. Peter was a friend to the author for many years. 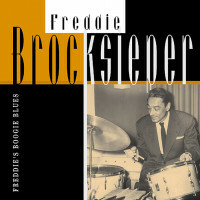 Peter Köhler met Freddie Brocksieper personally in 1959 during a guest performance with William MacAllan's band at Studio 15 in Munich. Years later, in 1983, they played together in a band. The occasion was a gala evening in the Rheinterrassen in Wiesbaden. The local Swing Faces were to arrange the music program in the 30's, and Peter could win Freddie to take part in the evening. On this occasion Peter persuaded him to tell him his memoirs. The result was a correspondence that Peter Köhler processed into a Brocksieper biography. Peter Köhler left his musical legacy, including the unpublished manuscript, to the Jazz-Institut Darmstadt. It is the basis for parts of this record; all quotations, unless otherwise indicated, have been taken from the manuscript. 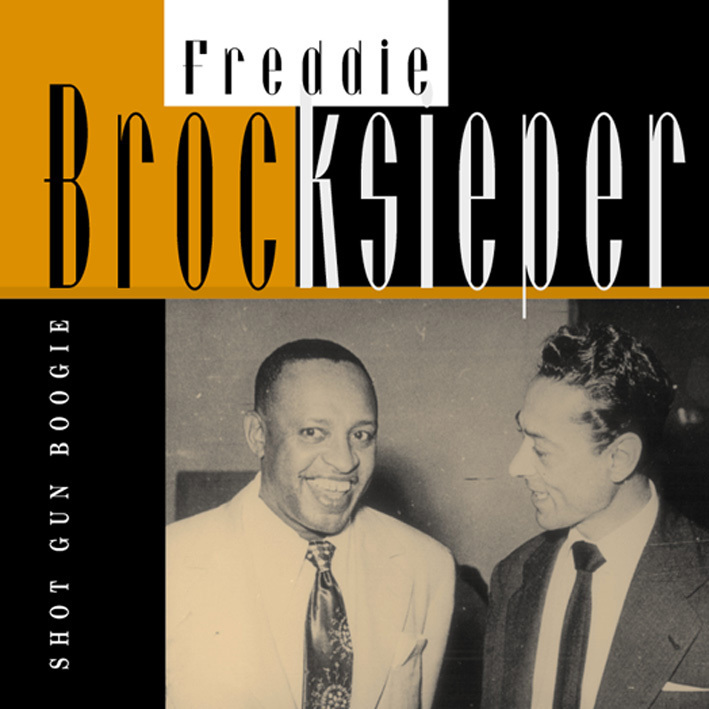 Freddie'Brocksi' Brocksieper was actually called Friedrich, Bruno Hans Friedrich to be exact, and called himself Fritz until he took the name Freddie after the war. He was born on 24 August 1912 in Constantinople, now Istanbul. His German father worked at the Golden Horn as a project engineer for Krupp. Here he also met his later wife, a Greek woman from a wealthy family of mill owners. The common language in the family was French. He spent his childhood on the Bosporus. Here he also got to know and love the rhythmically accentuated janissary music - Turkish Yeni Ceri, pronounced scheri - of military bands, determined by timpani, cymbals, cymbals, fanfares and zurnas. The music was in the boy's blood, so to speak. After the end of the First World War, all Germans were expelled from the country and deported to Germany on three ships via Italy. The Brocksiepers landed in Munich. Here the family lived the next years in the noble Hotel Vierjahreszeiten, could even afford a nanny. This was to change in 1921, when his father suddenly died during a business trip to Wiesbaden. The mother was inexperienced in business matters and due to a failure the family's considerable assets frozen on a Turkish bank were lost. Inflation took care of the rest. Brocksieper attended elementary school in Munich, followed by secondary school, but to the disappointment of his parents - his mother had remarried - with little success. According to their ideas, the son was to become an engineer. But he had other ideas and preferred to make music with school friends, among them Hans Dellen (guitar) - and failed the Mittlere Reife. To be able to show anything at all, the parents put the boy to a business school. kicked out because we only played jazz. "We couldn't stand waltzes, tango and stuff the audience wanted us to do." During this time Fred Werner became aware of the young drummer. Werner was putting together a chapel for a longer engagement at Café Astoria in Nuremberg and offered him a contract. The daily fee was 15 Marks, 450 Marks a month, and Brocksi could live with the band leader in Nuremberg for free. The boy could not resist this dream offer. He secretly managed to get his new drums, which his mother had bought him shortly before, piece by piece to the station and disappeared. Only from Nuremberg he wrote to his parents that they should not worry and that his decision to become a professional musician had been made. The father raged on the phone, threatened to alert the police - and gave up: "Stay where you want!" When the boy came home after three months, even had a salary of a thousand marks - by the standards of the time and certainly a fortune for an eighteen-year-old - the father was also convinced and if not, he gave in to his son's wishes, for better or for worse. 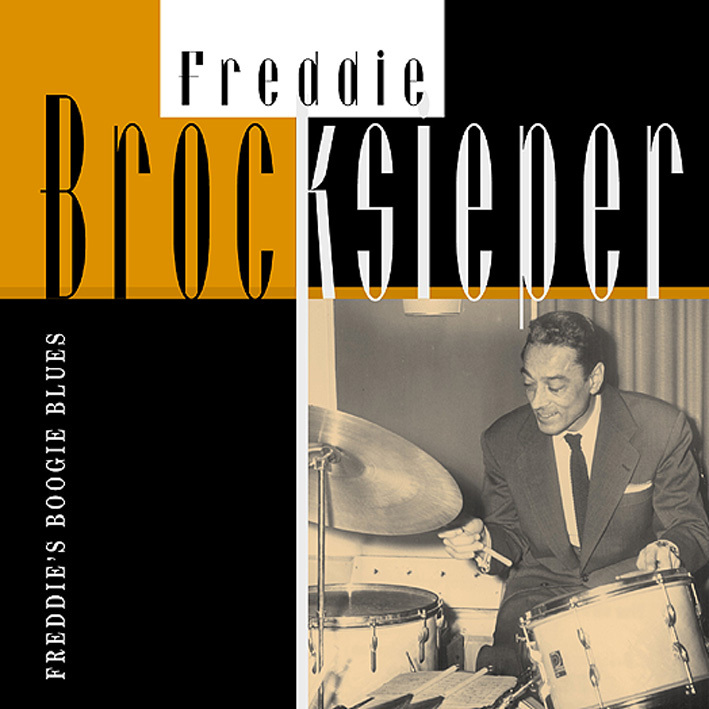 Brocksi used the money to dress, buy new drums and take drum lessons from Fritz Herbst. The old musician friends "were naturally enthusiastic. I came from a professional band." Brocksi found his next engagement with some friends and professional musicians in Munich's Varieté Colosseum. The instrumentation was: three trumpets, trombone, three saxophones and a rhythm section with piano, guitar and drums. The musicians also had to stage a show in which Brocksi, as the female partner of dancer Eddie Maasen, presented a pas-de-deux on stage: "As props for this performance I received a flower wreath decorating my hair parted in the middle, a skirt and a jersey. "My calves were stuffed with bales to fake real ballet muscles, and then it started." The engagement came to an early end after a few days after the artists' lodge had complained about the musicians' appearance as stage artists. Then the orchestra fell apart. But soon most of the musicians got together again on the occasion of the first big jazz show of Radio München on April 13, 1932. Besides Fritz Brocksieper, Hans Rosenfelder, Lutz Waldenburg and Charly Anker (Sousaphon) were also present. The musicians found the show successful, the listeners did not. They didn't know what to do with the jazz music and didn't hold back with their criticism. The orchestra then gave a few concerts in other cities, but Brocksi was not there at that time.